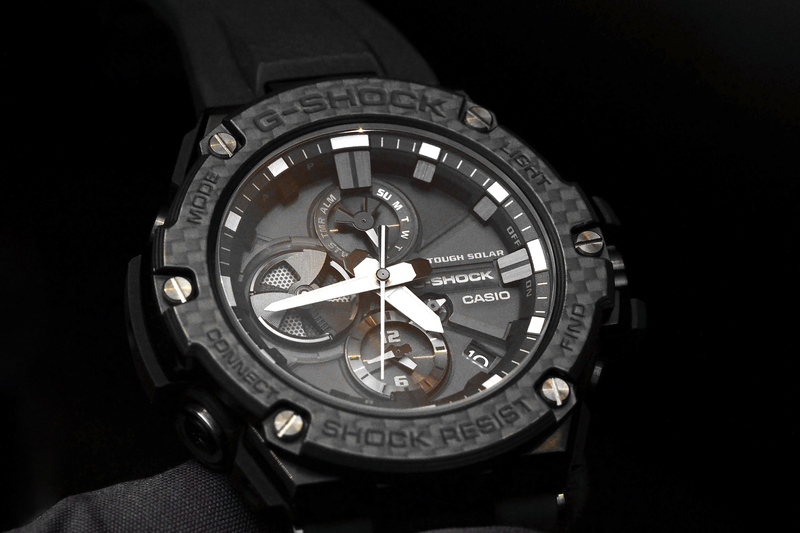 Casio recently made a really cool addition to their G-Steel line watches with the introduction of the G-Steel GSTB100X-1A. Boasting an all-new layered carbon bezel this steel cased watch has a distinctive high-tech look without sacrificing durability and shock resistance. The crystal is a flat sapphire that is very clear, providing excellent visibility, as well as scratch resistant compared to the plexiglass or mineral crystals used on lower-priced models. In addition to the normal timekeeping functions that are shown with analog hands, this Japanese quartz watch is equipped with a Bluetooth function that allows you to connect to your smartphone at the press of a button and acquire the time from the same internet time server that calibrates your phone. 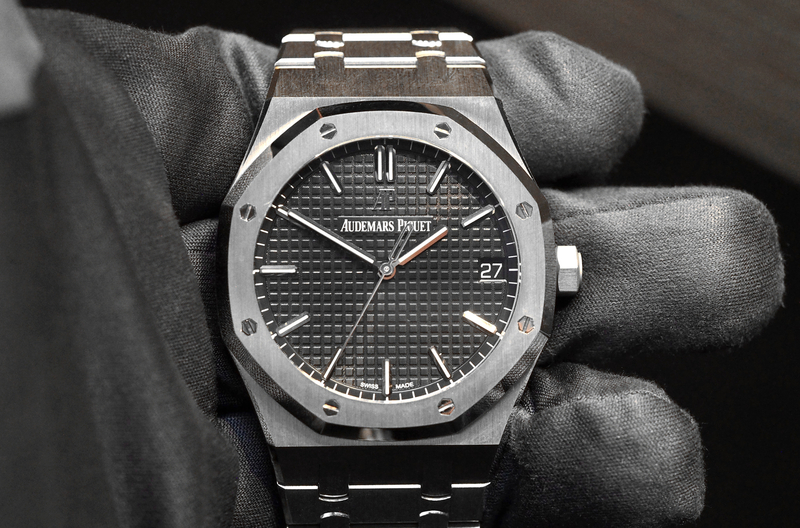 This results in ultra-accurate and easy to set timekeeping. 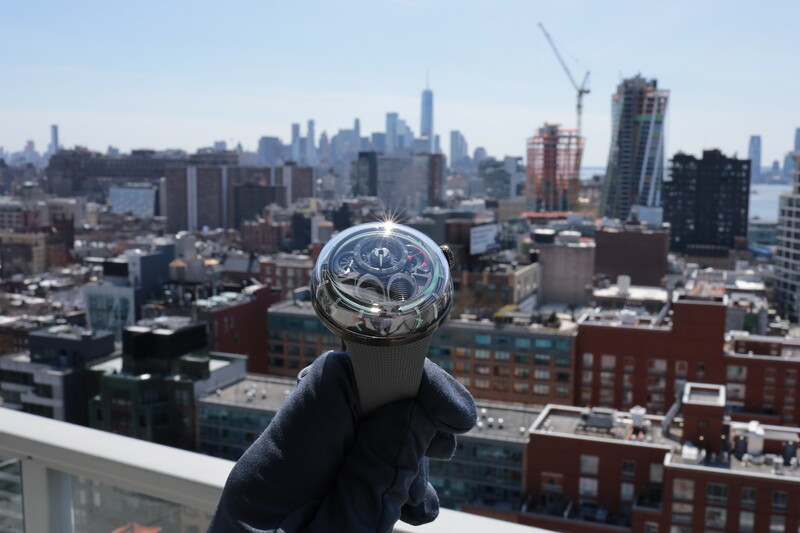 Other functions include “Tough Solar” which charges the watch battery with sunlight, an LED to illuminate the dial even in total darkness, and a second dial that allows you to track two time zones simultaneously. There are, of course, a myriad of functions that you would expect such as a daily alarm, countdown timer, battery level indicator, full auto-calendar good until 2099 with day/date indications, and a stopwatch. Water-resistance is 200 meters. 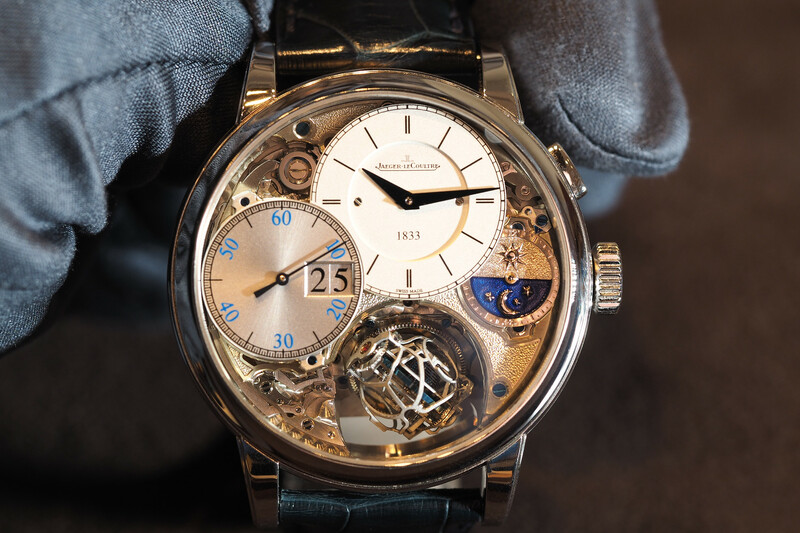 One of the coolest features is the strap which is screwed directly to the case and has a ratcheting feature that allows it to be articulated so as to sit very comfortably on a wide variety of wrists despite its significant bulk at 53.8 mm in diameter. The retail price is $700.